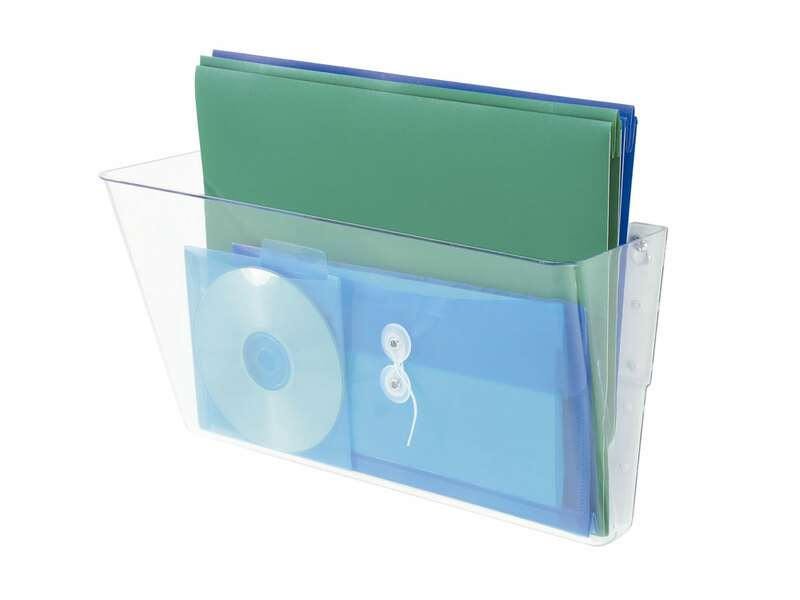 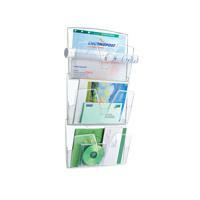 In crystal clear plastic and with cutaway fronts and sides to allow easy access to contents, these CEP wall files are both useful and stylish. 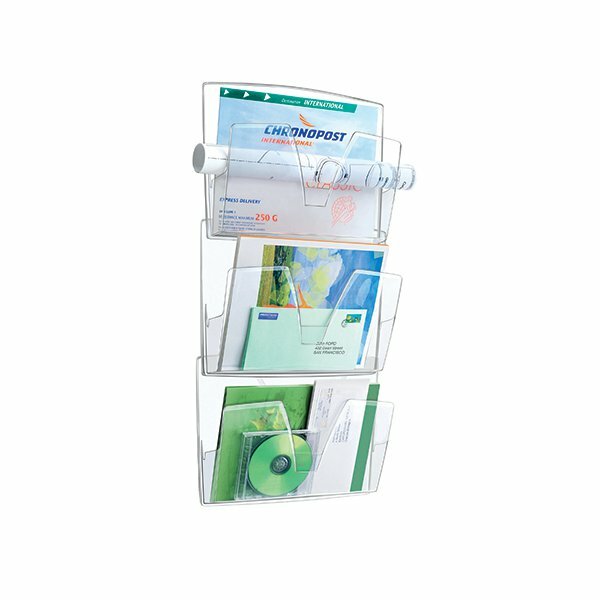 Supplied with all necessary fixings, they can be individually attached to the wall or can be set up to hang from each other. 100% recyclable, the wall files accept documents up to 240x320mm in size, and the cutaway sides allow for the storage of postal tubes and larger envelopes. 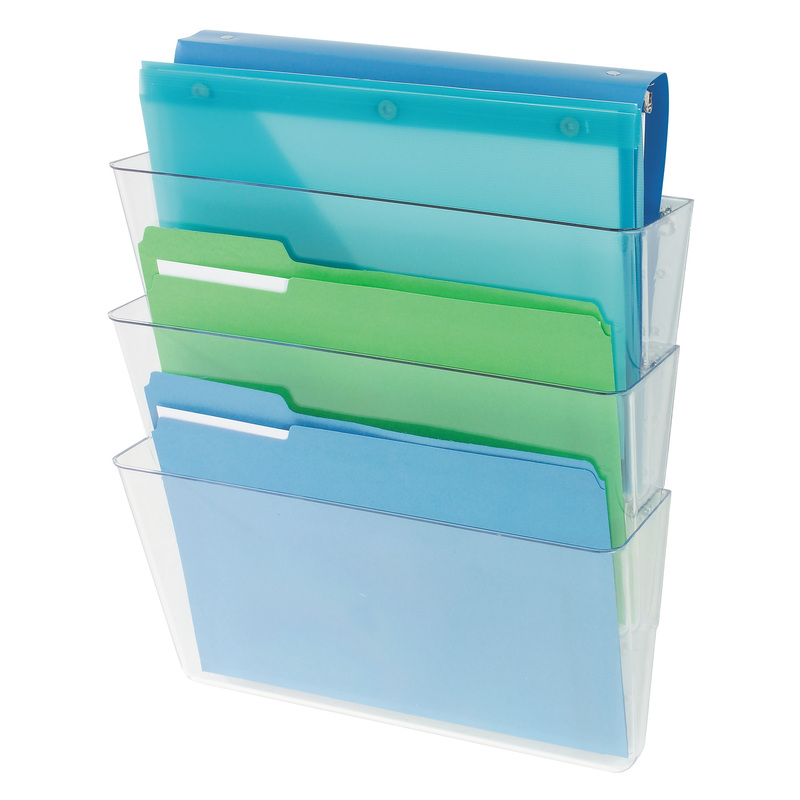 Supplied in a pack of 3 files.